The 6m+ set includes a cup with a soft silicone nozzle placed in a different position from baby bottles so that babies can start developing grow-up drinking skills. The cup comes with easy grip handles made of (overmoulded) TPE. 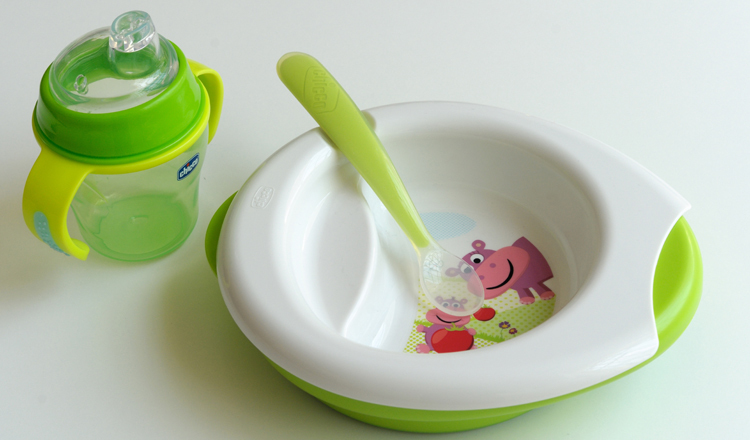 The baby plates set includes a warming plate and a practical bowl with a separate section to cool down food. In this stage parents are still feeding babies with a soft silicone spoon suited for a baby’s little mouth.